This week the text I am preaching from is Matthew 2:1-12. It is the story of the Magi, or Wise Men. (They were not kings). The theme of Advent this year is “Mystery and Surprise.” The following story by O. Henry is one of my favorite short stories to read at Christmas time: The Gift Of The Magi: it takes place in the early part of the 20th Century. It is filled with mystery and surprise…The way Christmas stories ought to be. ONE DOLLAR AND EIGHTY-SEVEN CENTS. That was all. She had put it aside, one cent and then another and then another, in her careful buying of meat and other food. Della counted it three times. One dollar and eighty-seven cents. And the next day would be Christmas. And then she put it up on her head again, nervously and quickly. Once she stopped for a moment and stood still while a tear or two ran down her face. She put on her old brown coat. She put on her old brown hat. With the bright light still in her eyes, she moved quickly out the door and down to the street. Oh, and the next two hours seemed to fly. She was going from one shop to another, to find a gift for Jim. She found it at last. It surely had been made for Jim and no one else. There was no other like it in any of the shops, and she had looked in every shop in the city. It was a gold watch chain, very simply made. Its value was in its rich and pure material. Because it was so plain and simple, you knew that it was very valuable. All good things are like this. It was good enough for The Watch. As soon as she saw it, she knew that Jim must have it. It was like him. Quietness and value-Jim and the chain both had quietness and value. She paid twenty-one dollars for it. And she hurried home with the chain and eighty-seven cents. With that chain on his watch, Jim could look at his watch and learn the time anywhere he might be. Though the watch was so fine, it had never had a fine chain. He sometimes took it out and looked at it only when no one could see him do it. At seven, Jim’s dinner was ready for him. Jim was never late. Della held the watch chain in her hand and sat near the door where he always entered. Then she heard his step in the hall and her face lost color for a moment. She often said little prayers quietly, about simple everyday things. And now she said: “Please God, make him think I’m still pretty.” The door opened and Jim stepped in. He looked very thin and he was not smiling. Poor fellow, he was only twenty-two-and with a family to take care of! He needed a new coat and he had nothing to cover his cold hands. Jim stopped inside the door. He was as quiet as a hunting dog when it is near a bird. His eyes looked strangely at Della, and there was an expression in them that she could not understand. It filled her with fear. It was not anger, nor surprise, nor anything she had been ready for. He simply looked at her with that strange expression on his face. Jim looked around the room. “You say your hair is gone?” he said. Jim put his arms around his Della. For ten seconds let us look in another direction. Eight dollars a week or a million dollars a year- how different are they? Someone may give you an answer, but it will be wrong. The magi brought valuable gifts, but that was not among them. My meaning will be explained soon. From inside the coat, Jim took something tied in paper. He threw it upon the table. White fingers pulled off the paper. And then a cry of joy; and then a change to tears. For there lay The Combs-the combs that Della had seen in a shop window and loved for a long time. Beautiful combs, with jewels, perfect for her beautiful hair. She had known they cost too much for her to buy them. She had looked at them without the least hope of owning them. And now they were hers, but her hair was gone. But she held them to her heart, and at last was able to look up and say: “My hair grows so fast, Jim!” And then she jumped up and cried, “Oh, oh!” Jim had not yet seen his beautiful gift. 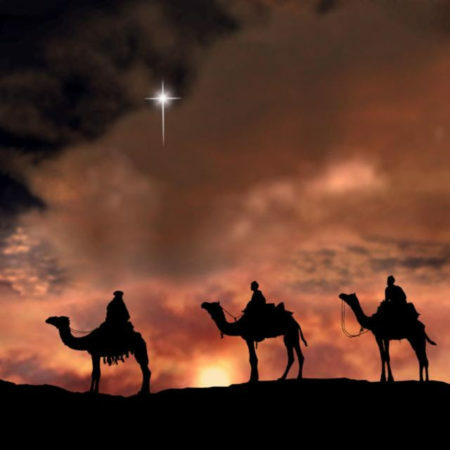 The magi, as you know, were wise men-wonderfully wise men- who brought gifts to the newborn Christ-child. They were the first to give Christmas gifts. Being wise, their gifts were doubtless wise ones. And here I have told you the story of two children who were not wise. Each sold the most valuable thing he owned in order to buy a gift for the other. But let me speak a last word to the wise of these days: Of all who give gifts, these two were the most wise. Of all who give and receive gifts, such as they are the most wise. Everywhere they are the wise ones. They are the magi.